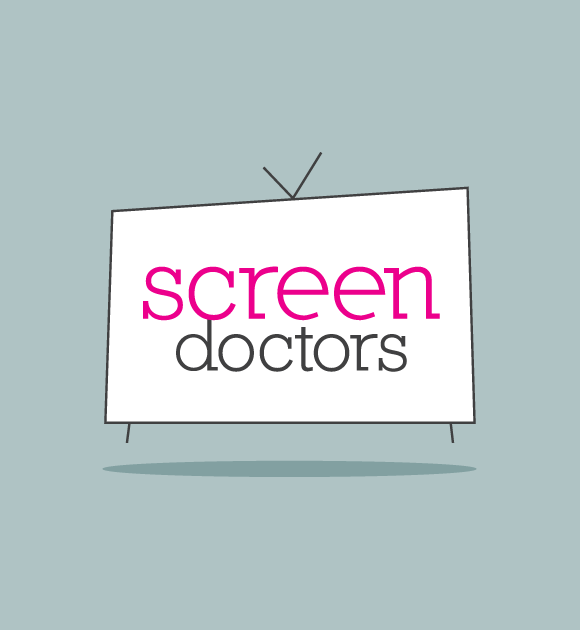 Screen Doctors are Chartered Clinical Psychologists that specialise in pre- and post-production services for the television industry. 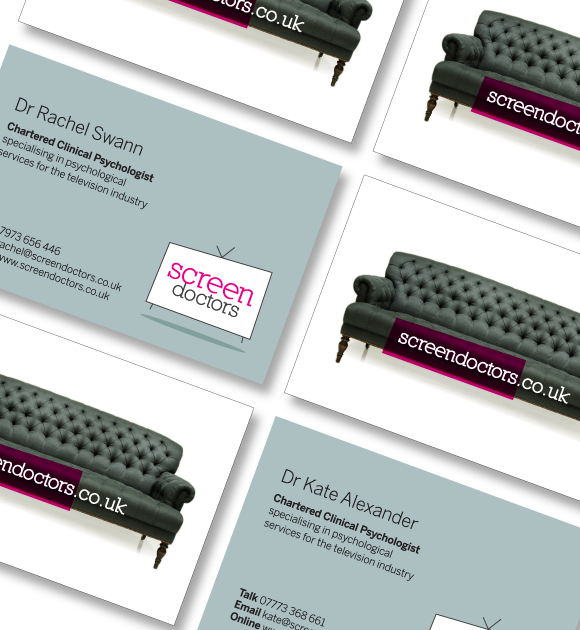 Screen Doctors wanted a fresh and quirky new identity and website with an edge, that would make them stand out in the competitive TV industry. 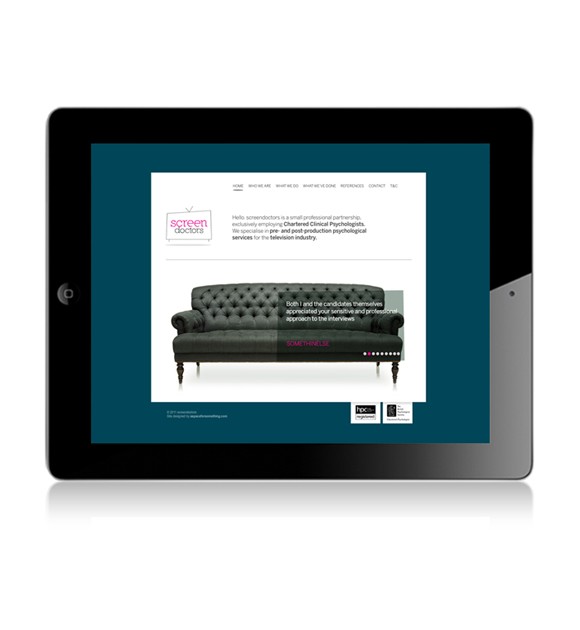 My inspiration came from the Directors love of vintage interiors and their approachable communication style. The identity has a lighthearted and friendly feel with a nod to the 1950’s while the online design showcases the companies serious offering in friendly and stylised way.